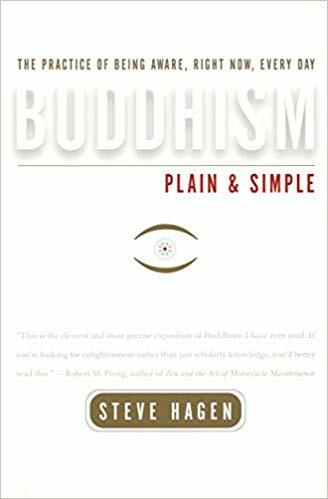 Join us for a month-long Buddhism introduction, instruction and Dharma discussion based on the popular book of the same name by Steve Hagen. The session begins Tuesday, January 15th and continues every Tuesday and Thursday evening for four weeks. Each evening starts with 30 minutes of zazen (seated meditation) followed by another 30 or 40 minutes of instruction and discussion.To that end, you are expected to be already familiar with the Zen style of meditation and can sit for the entire 30 minutes without a break. So, this discussion group is ideal for both relatively new beginners and for those wishing to refresh their practice. The suggested donation is $45 for members, $75 for non-members - with discounts for students and those under economic duress. To register and donate for this class online, simply click on the image. * (You can also make your donation the first night of the session.) Take note that you are also required to have your own copy of the book ($10 - 12 on Amazon). Always happy to talk with you further and to answer your questions. Please stop by or call or drop us a note through the Contact page. * This will take you to a PayPal login screen. If you do not have a PayPal account, simply choose the 'Donate with Debit or Credit Card' option. The Thursday night discussion group focuses on a given book or text. For all of January, discussion will be on the book Buddhism Plan & Simple described above.